The CAMP Rehoboth Women’s FEST team has announced legendary singer Janis Ian as Headliner for Women’s FEST 2018, April 12-15. Save the date! Following the trend of expanding both FEST offerings and upping the celebrity quotient in recent years, 2018 is shaping up to be the most exciting year yet. American singer-songwriter Janis Ian, who began her success as a teen in the 1960s and 70s with her most widely recognized song, "At Seventeen,” has been performing ever since. She’s a two-time Grammy Award winner, ten-time nominee, as well as a columnist, activist, and writer. Her autobiography Society’s Child, won a spoken word Grammy four years ago. The FEST will, as in the past, host several more entertainers, golf and pickleball events, the giant Ladies 2000 Tea Dance (back in the Convention Center this year! ), a book fair with well-known lesbian writers, the Craft Expo, the Broadwalk on the Boardwalk, a spectacular keynote address, and much more. Presenting sponsor Olivia Travel has donated an amazing raffle item: a cruise from Venice to Greece and the Greek Isles! Win the trip for two, worth more than $9,000 with a $20 raffle ticket (six tickets for $100, only 600 tickets sold!) Raffle tickets and info available soon at camprehoboth.com. 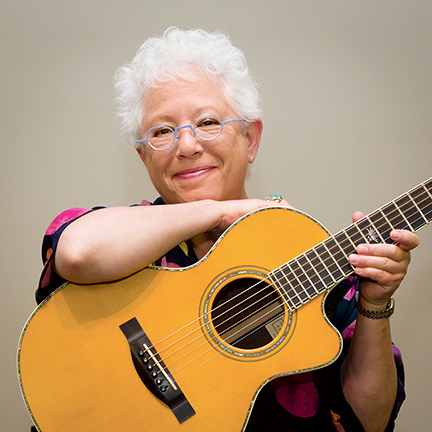 So save the date, April 12-15 for Janis Ian and the 18th CAMP Rehoboth Women’s FEST.